Improve your skin with a simple 2 SECONDS DETOX SPRAY and it doesn’t involve fasting, purging, or a complete rearrangement of your life. It’s a quick and easy method by applying this Aqua Serum Spray that flushes out waste and toxins. Now, its time to wake up in the morning with a fresh, radiant complexion. 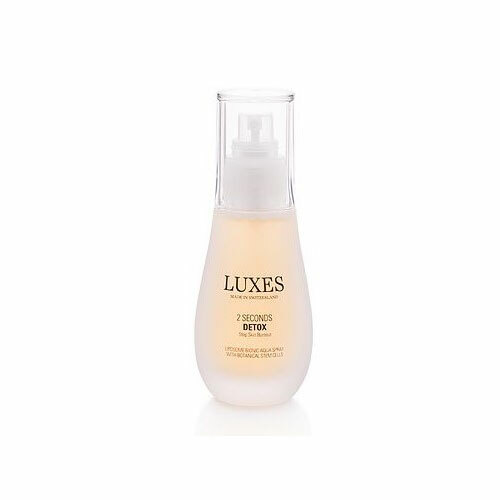 This phospholipid based Serum Spray contains Plant Stem Cells of the Argan Tree and Antiox-Detox FP Complex with high-potency organic antioxidants. This ultimate formula protects and vitalizes the dermal stem cells and supports the skin’s detoxification and repair processes. The skin’s resistance will be strengthened.